Chevrolac? Cadillet? Ruben Allender’s El Morocco blurred the line. The rarest of the 1957 Chevys, the “Poor Man’s Cadillac”, the El Morocco was a customized full-size car produced by Ruben Allender based on the 1956 and 1957 Chevrolet. For the first time ever, GM allowed an outsider to design a custom Chevy and this rare 1957 Chevy is an example of what happens when beauty meets beast. Allender was not a coachbuilder in the traditional sense, but rather a customizer as the 1956-1957 El Moroccos were face-lifted Tri-Five Chevrolets with bone stock drivetrains and interiors whose bodywork was restyled to resemble the 1955-1957 Cadillac Eldorado Biarritz, Seville and Brougham. In late 1955, he reckoned that a market existed for a low-priced lookalike of the Cadillac Eldorado convertible he’d just purchased, a car at the top of most everyone’s “dream” list. 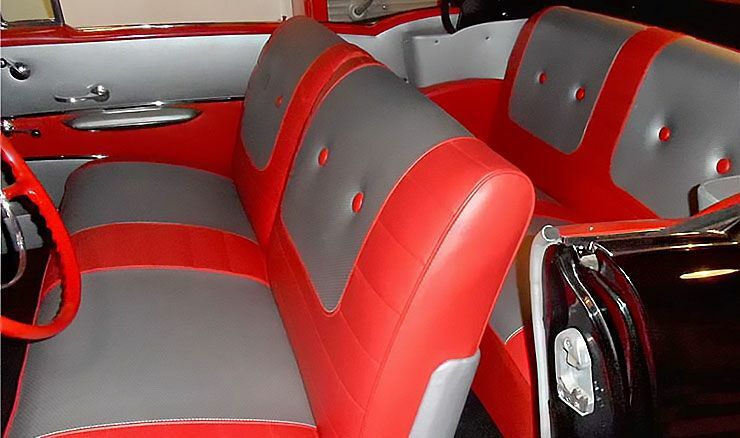 Aware of the customizing craze then sweeping the nation, he decided to do what thousands were already doing: restyle a Chevrolet – only he would build copies to special order. 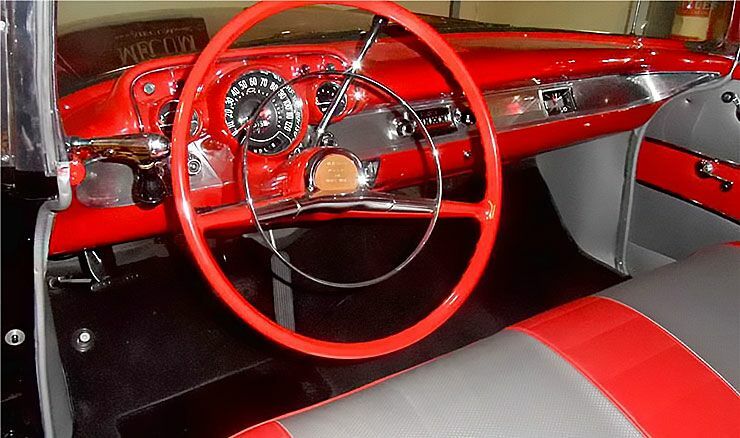 It was a great idea, and he got a little unexpected help from General Motors, of all places, which made the 1956 Chevrolet look more like a Cadillac than the 1955 model he initially planned to use. 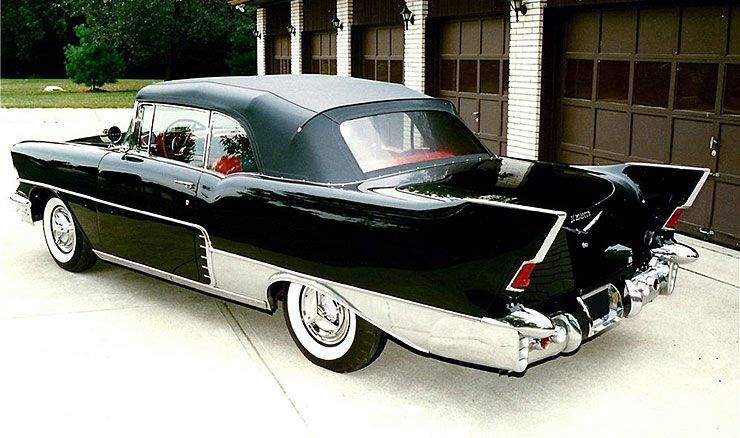 In the fall of 1957, Allender requested Thompson, an experienced tool & die maker who started working for Allender in 1955 to design and engineer a totally redesigned El Morocco ‘kit’ for the new 1957 Chevrolet that resembled the just-introduced 1957 Cadillac Eldorado Brougham. 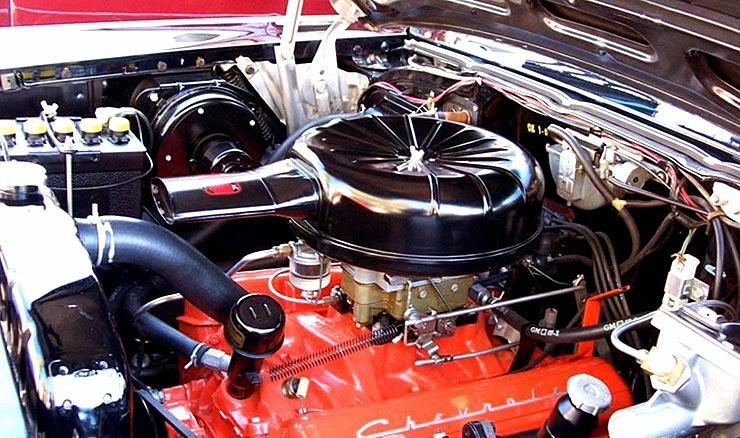 All of the 1956 El Moroccos were built using Bel-Air donors, but for 1957 the two- and four-door hardtops were built using the less expensive Chevrolet Two-Ten. 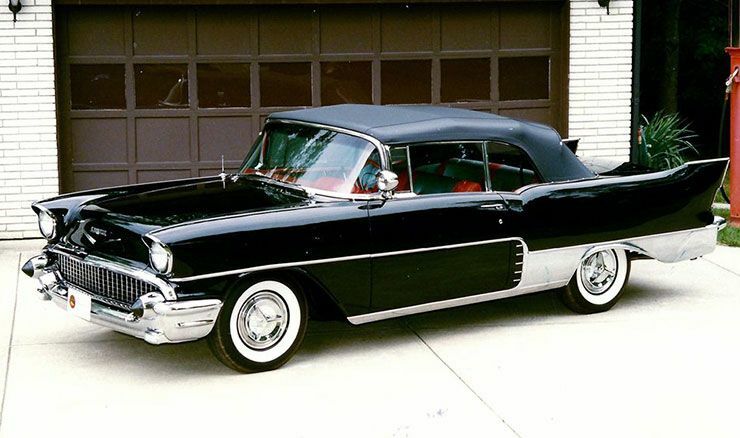 The convertible was only available in the Bel-Air line so that model continued to be used on the 1957 convertible. All cars had the same equipment: 283/220hp, Powerglide, power steering and brakes, push-button radio and wide whitewall tires. All were sold in Chevy dealerships with full factory warranty. It was very unusual that Chevrolet let someone else modify their cars and still provided the factory warranty. Of the original thirty El Moroccos produced, only a handful are known to exist today, one 1956 convertible and six 1957s, two 4-door sedans, two 2-door sedans and two convertibles. All El Morrocco’s were modified and re-painted 1957 Cadillac colors. This car was black from the factory and with a black top. This particular car has been professional restored scoring 994 points at the Chevy Nationals with number matching components and many NOS parts. Drive train has the original engine, transmission and rear end.